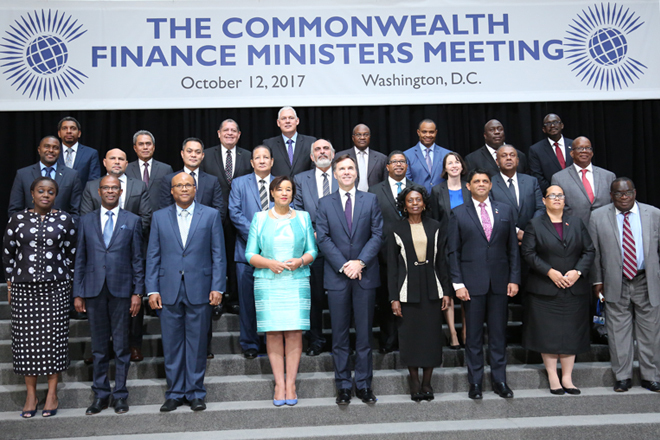 Minister of Finance and Media Mangala Samaraweera represented Sri Lanka at the 2017 Commonwealth Finance Ministers Meeting (CFMM), held at the headquarters of the International Monetary Fund in Washington DC, USA, on 12 October 2017. Canada chaired this year’s meeting where 52 Finance Ministers of member states across six regions participated. CFMM provides a uniquely informal platform for open and honest dialogue among a diverse group of countries on key economic issues of different economies of member states.